Revealed Thursday and going on sale early next year, the 2018 Jaguar E-PACE crossover is meant to blend a sports car with an 5-seat SUV. It starts at $38,000 — which is low enough that you might see one in the average market. 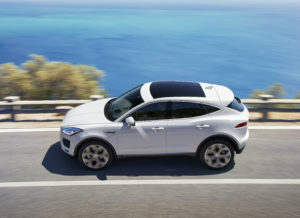 “Jaguar engineers have used a variety of ultra-high-strength steels, lightweight aluminum, advanced composites and precision processes to create a compact SUV capable of delivering Jaguar dynamics and meeting global safety standards,” the OEM wrote in a news release Thursday. The hood, front fenders, roof and tailgate are all aluminum. Going aluminum for the “powerfully profiled hood” saved Jaguar 22 pounds compared to steel, while the fenders cut 6.6 pounds off the car’s weight. Besides improving gas mileage, the aluminum hood’s 13.2-pound weight savings drops “the vehicle’s center of gravity for improved handling and stability,” according to Jaguar. The 33-pound-lighter aluminum tailgate might prove the most interesting from a repairability perspective (assuming it’s not replace-only). 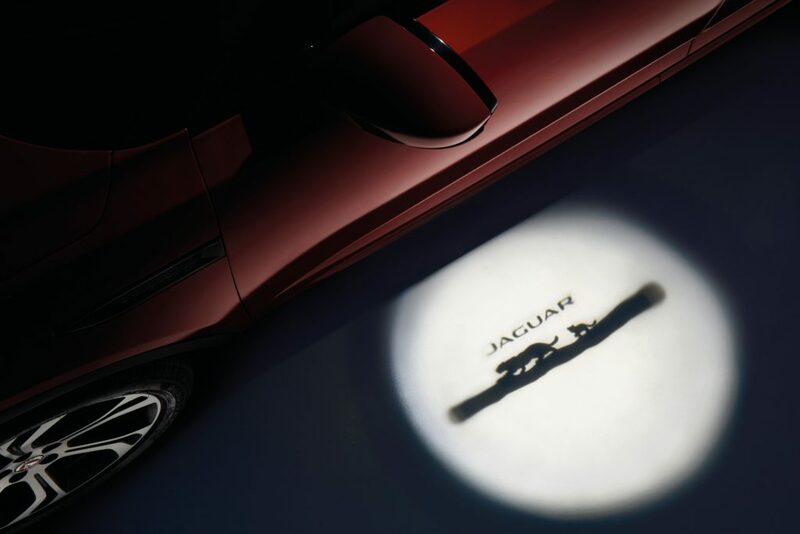 “Its advanced design uses a riveting/bonding process pioneered by Jaguar, along with laser welding on selected joints to further optimize weight and quality,” Jaguar wrote. Jaguar didn’t say where it installed the ultra-high-strength steel (though it’s probably the passenger cage and bumper beams). But it did highlight steel “bodysides” that it shaved down to 0.03 inches (0.7 mm) thick with “a high formability steel,” for a weight savings of 7.7 lbs “over a conventional material.” While Jaguar didn’t say how strong of a steel it used, it’s a safe bet it’s not going to be 250-270 MPa steel. The OEM didn’t say where it used the composites. An email request late Thursday afternoon for clarification about this and the steel questions raised by the news release has not yet been returned. The front knuckle is a lightweight hollow-cast aluminum component designed to provide additional camber for improved turn-in and minimized understeer. 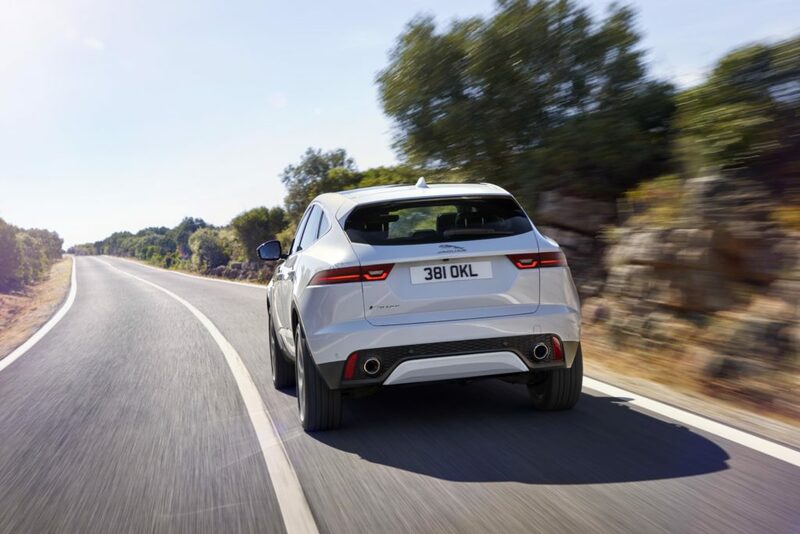 The specially-tuned front subframe of the E-PACE was developed to generate a stiff structure including solid rear mounts that contribute to the vehicle’s connected steering feel. 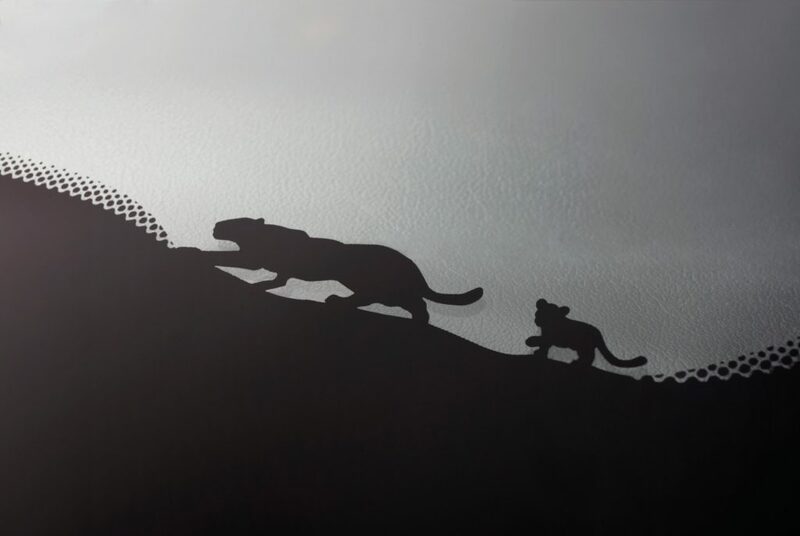 Jaguar engineers have used lightweight aluminum suspension components extensively, increasing stiffness and reducing unsprung mass, to help achieve the vehicle’s dynamic performance. The rear suspension is mounted on a light, stiff steel subframe to optimize both steering responses and refinement.